There are some rather odd extinct amphibians around, or rather, not. 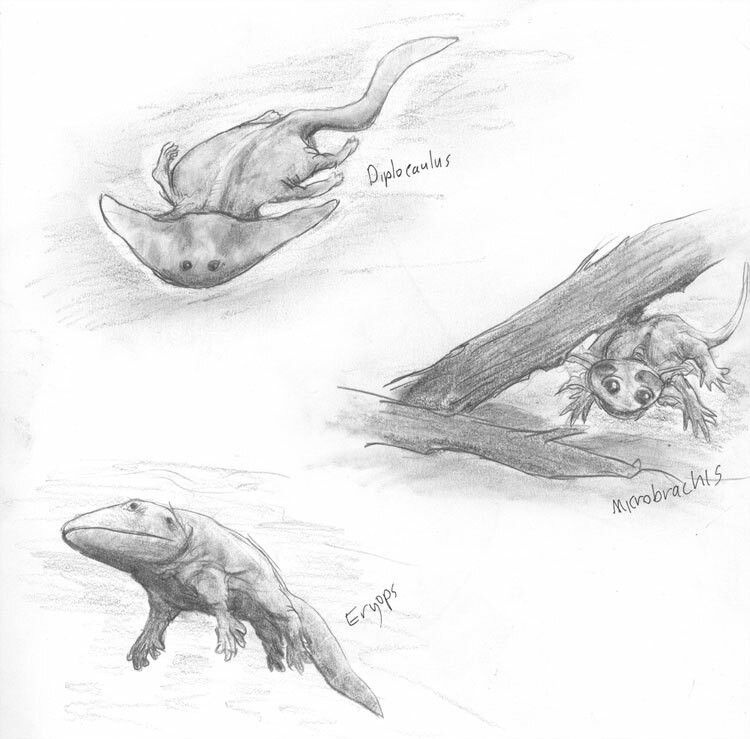 This entry was posted in Scanned Desksketch and tagged amphibian, extinct, paleoart by Anthony. Bookmark the permalink.